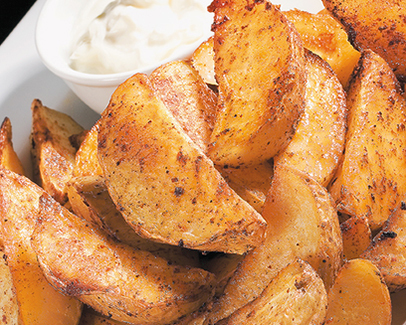 Cut potatoes into chunky pieces. Place on tray, add oil and toss. Sprinkle with paprika and chilli powder. Place in hot oven until brown or place on barbecue until crisp.